Presenting a diverse and dazzling collection from all over the continent, from Morocco to Zimbabwe, Uganda to Kenya. 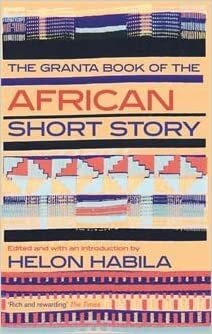 Helon Habila focuses on younger, newer writers - contrasted with some of their older, more established peers - to give a fascinating picture of a new and more liberated Africa. These writers are characterized by their engagement with the wider world and the opportunities offered by the end of apartheid, the end of civil wars and dictatorships, and the possibilities of free movement. Their work is inspired by travel and exile. They are liberated, global and expansive. As Dambudzo Marechera wrote: 'If you're a writer for a specific nation or specific race, then f*** you." These are the stories of a new Africa, punchy, self-confident and defiant. Includes stories by: Fatou Diome; Aminatta Forna; Manuel Rui; Patrice Nganang; Leila Aboulela; Zoë Wicomb; Alaa Al Aswany; Doreen Baingana; E.C. Osondu.